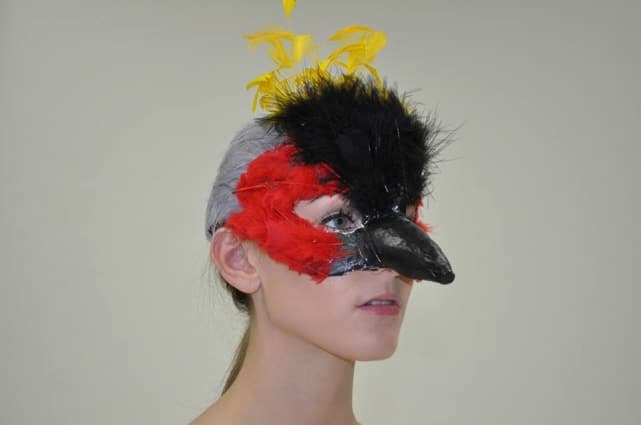 Today we have a guest post from Nicole Jolin, who made some wonderful paper mache masks for a dance she choreographed. Thanks for showing them to us, Nicole! Nicole said: I’m a retired ballerina and now teach classes at the ballet school that I grew up in. I went to South African 3 years ago, traveling through Botswana, Zambia, and Zimbabwe. Ever since then I have wanted to create an African dance in resemblance of my experience. The story I created is the villagers come at the end of their day to sing and dance around a fire pit. There is an elder woman of the tribe that is a story teller. She tells the villagers a story about the animals. The villagers, then become the animals. I wanted the dances and costumes to be realistic. My animals are Zebras, baby lions, Crowned Cranes, Leopard, Cheetah and Impalas. I made paper mache masks using Jonni’s techniques from her book. Once I got started, it was pretty simple. The most challenging part was building the mold. I used Styrofoam, cardboard, foil and lots of duck tape. I made the front of the masks, and then molded the mask and attached the skull cap to each of my dancers so they would have a perfect fit to their head/face. They turned out great! I can’t wait until everything is on stage. Now my boss wants me to make a life size paper mache elephant for Clara to ride on stage with during our Nutcracker. 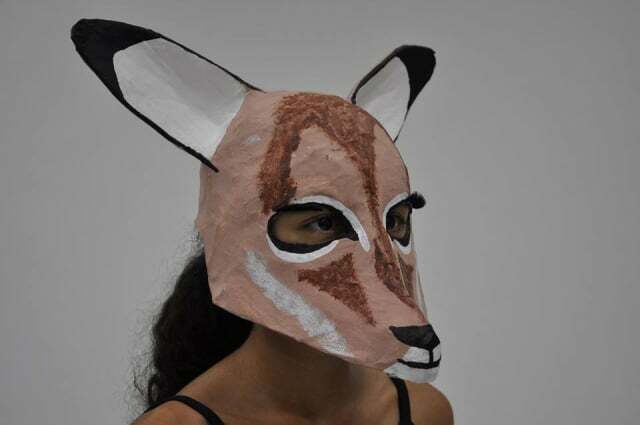 I have figured out how to do that, but will probably take a year and a half to make, with all the paper mache needed. That project is in the works and I will keep everyone posted as to how it turns out. 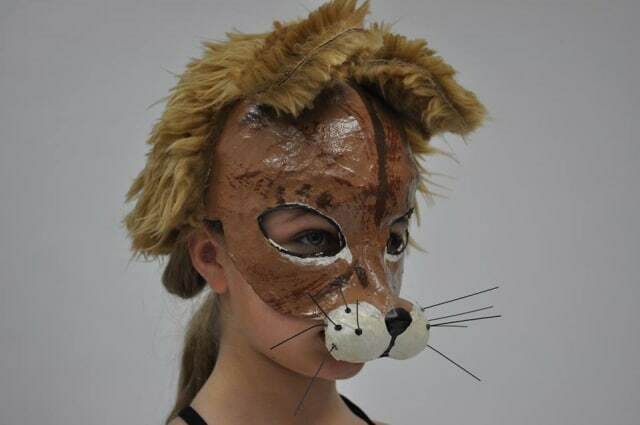 I am researching masks for a possible production of lion king and love your work. 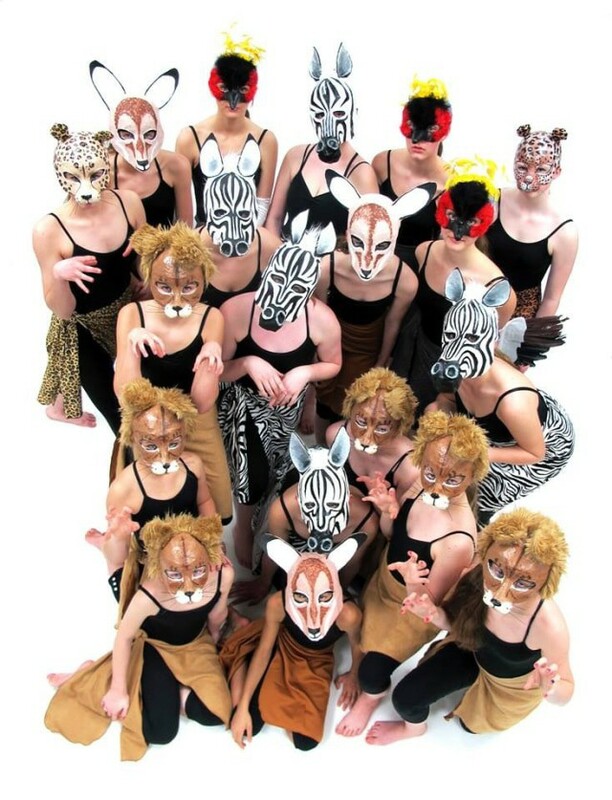 My biggest challenge/fear is making sure dancers can see and the masks stay on for dancing. Did you have any problems with either? Linda, I don’t know if Nicole is still watching this site for comments. She is using helmet-style masks, and that pretty much takes care of the problem of keeping it on – especially if you put some foam pads on the inside of the mask. That allows for air circulation between the head and the mask, and it also helps the mask grip the head, but in a way that’s comfortable. By the way, did you see the lion mask pattern (including parts to make it into a helmet-style mask) that I just finished? Thanks everyone. The masks took about a week for each from start to finish. I made 19 of them. I lined them up in an assembly line fashion and would get as much work done on them in about 4 hours time as I could. I had people help me paint them, as that is not my strong suit. I did all the molding, paper mâché, and prepping them for the paint. The show is in 11 days! Really cool! 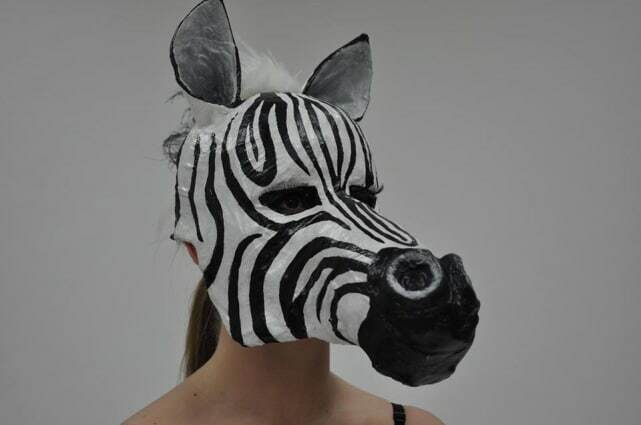 I love the zebra! Extremely nice work Nicole! 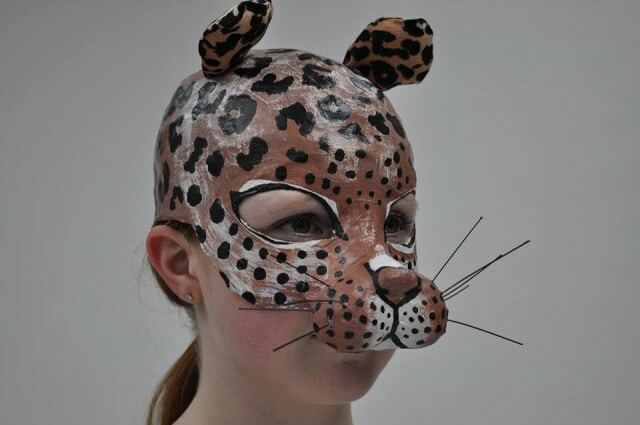 I used to costuming/masks for my kids school productions and I know how hard it is to make things that will stay on while dancing and moving around. I used baseball caps with the brims cut off. Have a great performance. I’m sure your students are excited about their masks. The masks are great! How long did it take to make them? I made “blank” masks for 2 of my granddaughters (ages 6 and 9) to decorate for Mardi Gras. The 9 year old painted hers to look like a leopard. The next day, she dressed like a leopard and wore it to school. I can’t wait to show her these masks! The paint job on Impala really is my favorite. Thanks so much Christine! Our show is April 5th. It will be video taped. I’m hoping I can put some if it on YouTube to share with everyone. If you do, I hope you’ll let us know how to find it. I would love to see the dance. 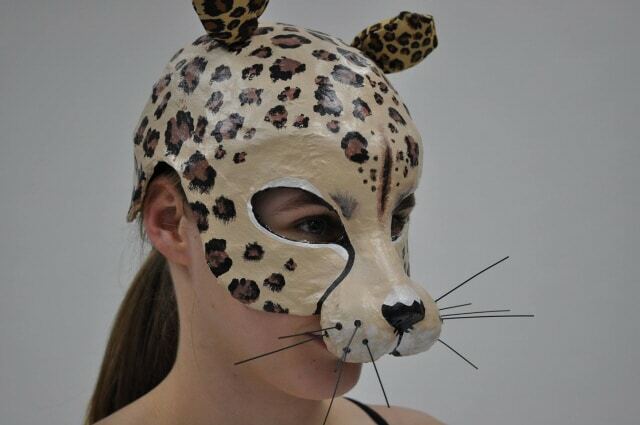 Those masks turned out really beautiful and I know the production will be a hit. The idea of using a skull cap to fit the masks is a genius idea. Good luck on the elephant.